When you forget to wear your sunglasses you're exposing your eyes to the sun's harmful UV and high-energy visible (HEV) rays which can prematurely age and damage your eyes and eyelids. Long periods of exposure can lead to sunburn on the front surface of the eye (photokeratitis), macular degeneration, cataracts, pinguecula and pterygium; and in some cases, cancer of the eyelid. To protect your eyes be sure to wear sunglasses that block 100% of the sun's UV rays. And don't forget to wear them whenever you're outdoors - even on overcast days. Smoking harms almost every part of your body - including your eyes. Research has linked smoking to eye diseases such as macular degeneration, dry eyes, cataracts, uveitis, and diabetic retinopathy. Smokers are four times more likely to lose their vision compared to people who do not smoke. The good news is that quitting, no matter what your age, can help reduce your risk of developing a serious eye condition. The skin around your eyes is very delicate. Rubbing your eyes can actually break the tiny blood vessels that are under the skin's surface and cause dark circles or a puffy appearance. Regular eye rubbing over an extended period of time can lead to a condition known as keratoconus. Keratoconus causes a thinning of the cornea and results in the cornea losing its shape. This condition can lead to blurry vision and sometimes cannot be fully corrected with glasses or contact lenses. It's called beauty sleep for a reason: not getting enough rest can cause red, bloodshot eyes as well as dark circles, eye twitches, dry eyes and blurry vision. Not getting enough rest not only affects your vision, but it can affect your overall health as well. If you aren't incorporating enough fruits and vegetables into your daily diet then you're probably not getting the necessary vitamins, minerals, and fatty acids necessary for optimum eye health. A diet rich in colorful fruit, leafy greens, and fish are all essential to keeping your vision healthy. Eating properly can help prevent or manage many age-related eye diseases. Comprehensive eye exams can detect vision problems, eye diseases, and general health issues before you even realize that they exist. Routine eye exams are especially important because certain vision-stealing diseases such as glaucoma often have no warning signs until there is a permanent, irreversible loss of vision. Be sure to alert your doctor of your family's eye health history to help determine whether you are at high risk for a particular eye disease of condition. 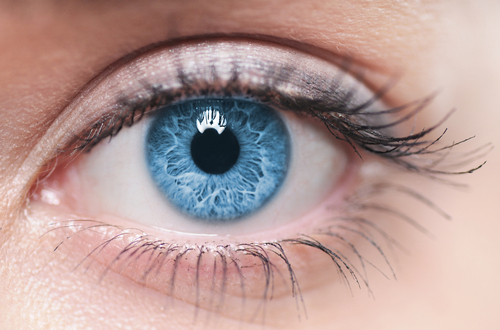 The key to good eyesight is proper eye care so don't forget your regular eye exams.